The way restaurants typically manage the food sourcing process is antiquated at best. 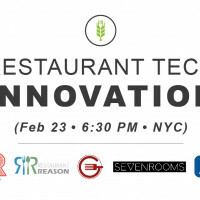 In an age where restaurant customers are using technology for everything from menu item recommendations to mobile payment, behind the scenes, operators are placing food orders with vendors by fax or phone; They’re sorting through piles of paper invoices and paying vendors by check. It’s inefficient, clunky and slow. Sourcery believes that sourcing ingredients shouldn’t be this hard. That’s why the San Francisco-based, Y-combinator-backed startup set out to digitize the process. 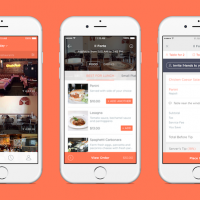 Its payment platform lets food buyers – restaurants, commercial kitchens, food retailers, etc. 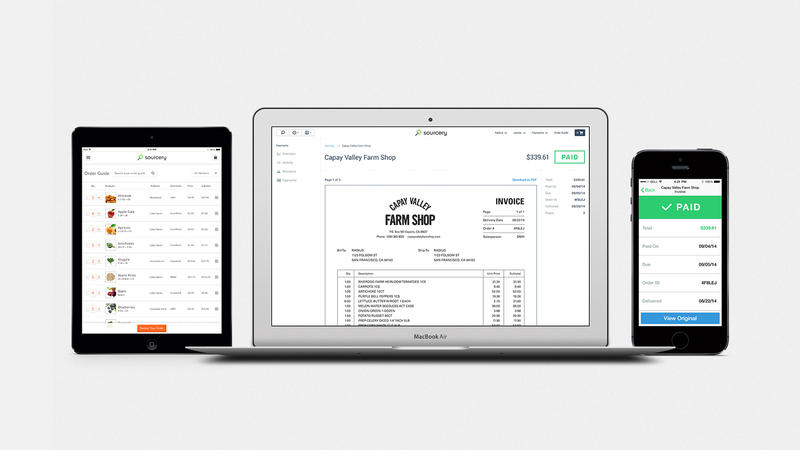 – easily place orders with multiple local suppliers and farms, as well as balance invoices and payments from one central dashboard. It allows suppliers and farms to invoice customers and to collect receivables. Sourcery launched out of private beta last week and announced a $2.5 million seed round led by angel investors, including Palantir co-founder Joe Lonsdale, Yammer CTO Adam Pisoni, Techstar’s David Tisch and BoxGroup’s Adam Rothenberg. 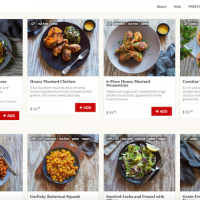 The startup is working with almost 100 food businesses, ranging from restaurants like Tom Colicchio’s ‘wichcraft, to on-demand meal startup Munchery to corporate kitchens like Dropbox and Airbnb. I caught up with co-founder Na’ama Moran to ask her more about Sourcery’s back story, the challenges of digitizing this antiquated process and how the team plans to use the funds. Our interview has been edited lightly for clarity and brevity. Food+Tech Connect: Can you tell me more about your background and your inspiration for Sourcery? Na’ama Moran: After moving to California in 2007, I was involved with several startups, including Zappedy, which was acquired by Groupon in 2011. Through Zappedy I had a lot of first hand interaction with small businesses (SMBs), including restaurants, and this experience led me to believe that the next wave of enterprise software will be centered on bringing SMBs into the 21st century. When Zappedy was acquired I met with several friends who work in the foodservice industry. 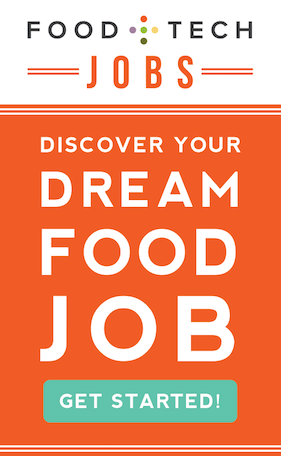 When I learned how difficult it was to run a foodservice business, and how lacking were the tools at my friends’ disposal, I decided to investigate this opportunity further. With my co-founder Peretz Partensky (check out his FTC guest post on creating an open, collaborative food supply chain), I spent the next several months traveling across the country meeting people involved in every aspect of the industry; from food artisans, farm-to-table chefs and purchasers for large chains, all the way to the chairman of Sysco. Eventually we became convinced that the food industry is on the cusp of a big generational and technological change. The vision of bringing transparency and economic sustainability to food businesses worldwide is what drives us to this day. FTC: How does the platform work? NM: Through Sourcery, customers can handle all of their ordering, invoices and payments online without needing to juggle paper catalogues, ordering on the phone, and keeping track of dozens of invoices every week. Sourcery takes a cut of the transactions processed through the site. In addition, we’ve released a directory of wholesale suppliers to assist new businesses with discovery. FTC: How many vendors do you work with? What’s your process for onboarding them like? NM: Our buyers have been exchanging orders and payments with more than 100 vendors centered primarily in the San Francisco Bay Area, Seattle and New York. The onboarding process for vendors is pretty simple. Vendors email or fax product sheets and invoices to Sourcery. Buyers order and pay on our platform. Vendors appreciate that we send them orders in their own language (eg. product SKUs) helping to minimize data-entry errors. Payments are made by direct bank transfer or via credit-card on time. FTC: How do you differentiate yourself from competitors like Farmersweb and Dine Market? NM: Farmersweb mission is to connect farms and chefs. Dine Market’s mission is to give their buyers the most competitive prices available in the market. Sourcery‘s mission to replace pen and paper and bring orders and payments online. We are open to processing transactions from all types and sizes of vendors and do not participate in price setting. FTC: What are the major challenges you’ve faced? NM: This industry has been operating the way it has for decades. Technology penetration is still in its infancy. It’s not a surprise that some people view technology as a possible threat to their business processes and relationships. The food industry is inherently personal; you couldn’t take away the healthy connections between producers, distributors and chefs if you tried. The human connection isn’t what needs to change. Overcoming initial skepticism and doubt has been our greatest challenge. We’ve overcome these challenges by developing a simple to use, friendly technology, staying very close to our customers, listening to their feedback and quickly incorporating it into our software. We have also developed meaningful relationships and trust over time. FTC: When did you raise the seed round and how do you plan to use the funds? NM: We raised the seed round last year and we are in the process of raising our next round of financing. The funds will be used to scale our product development and sales team so we can onboard many of the customers who are currently on our waiting list and expand into new geographies.